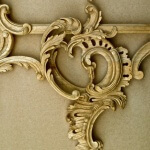 Rococo is easily identified by its flamboyant designs and curved, asymmetrical forms. 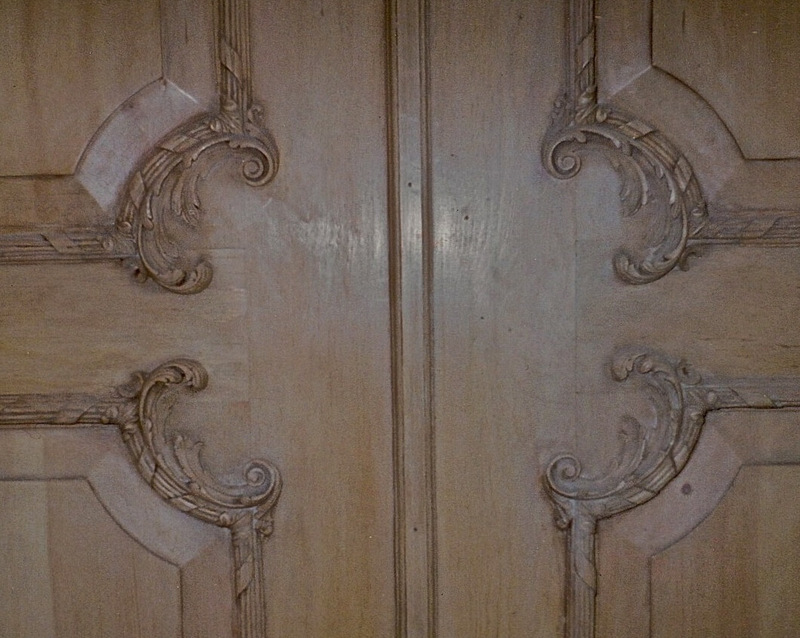 Its light yet elaborate style is well-suited to woodcarving. 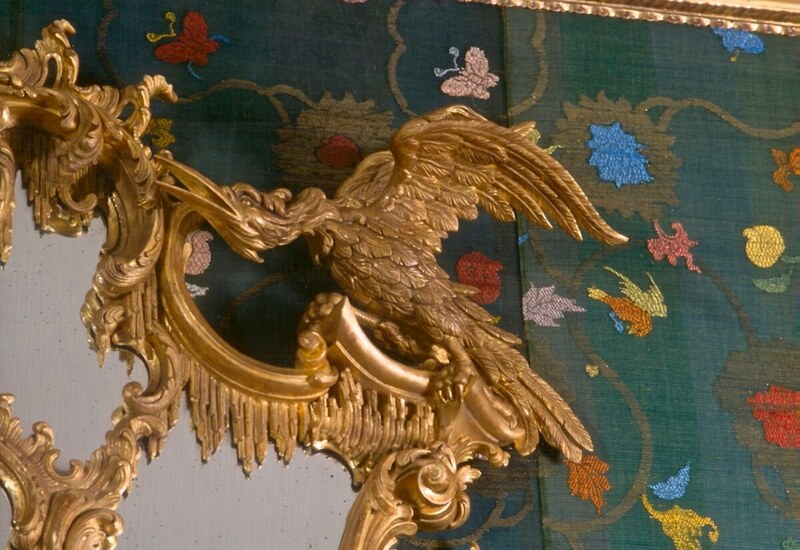 Developed in France in the early 18th century as a reaction against the heavy grandeur of Baroque, Rococo was most often used for interiors and in the decorative and industrial arts. 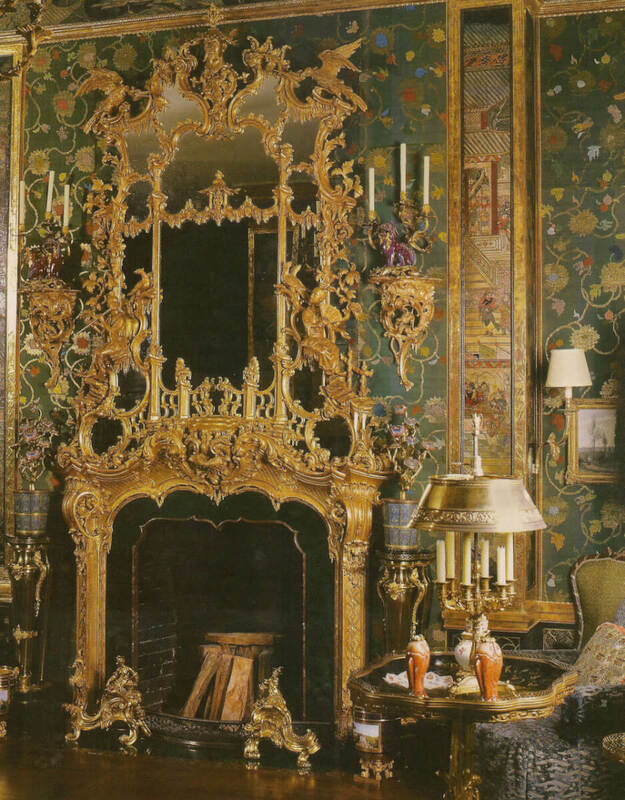 Entire rooms were often fashioned in the Rococo style, with ceilings, walls, furniture, sculptures, ornamental mirrors, tapestries and paintings designed to flow together seamlessly. 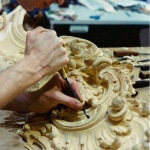 Rococo woodcarving is one of the more difficult styles to design and replicate correctly. Straight lines are almost nonexistent and replaced by curves, sweeps and flourishes. Leaf and shell ornamentation, as well as and dripping icicles, appear everywhere. 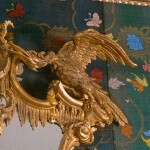 Features on the opposite side of a mirror frame or panel balance individually asymmetrical elements. The effect should be whimsical, fantastical, enchanting—and balanced. 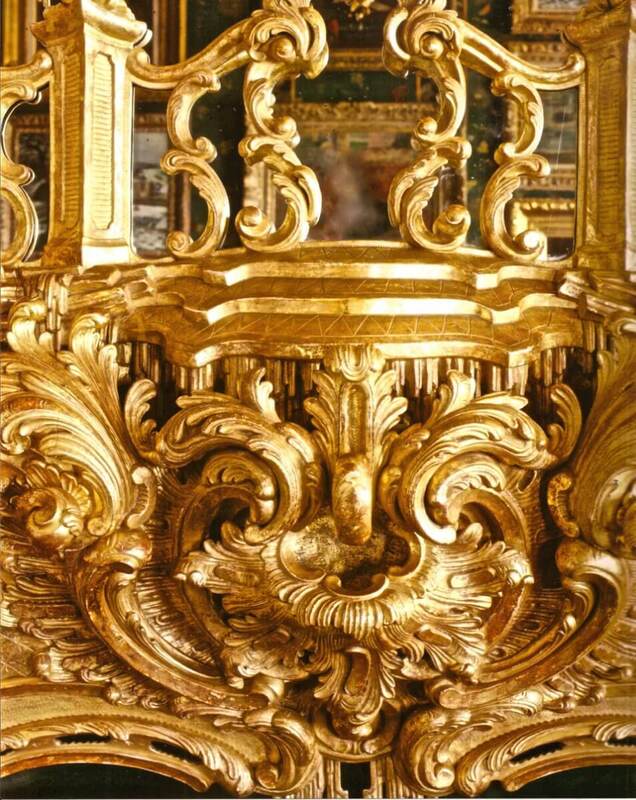 As with all good design, but in particular with Rococo, the artist has to understand the eternal struggle between complete freedom of movement and gravitational pull. Think of a wave crashing over a rock and then frozen in space. To design this style well, you have to capture this and then go deep into all your senses and remember everything you know in nature about flow, movement and the formation of a vortex. 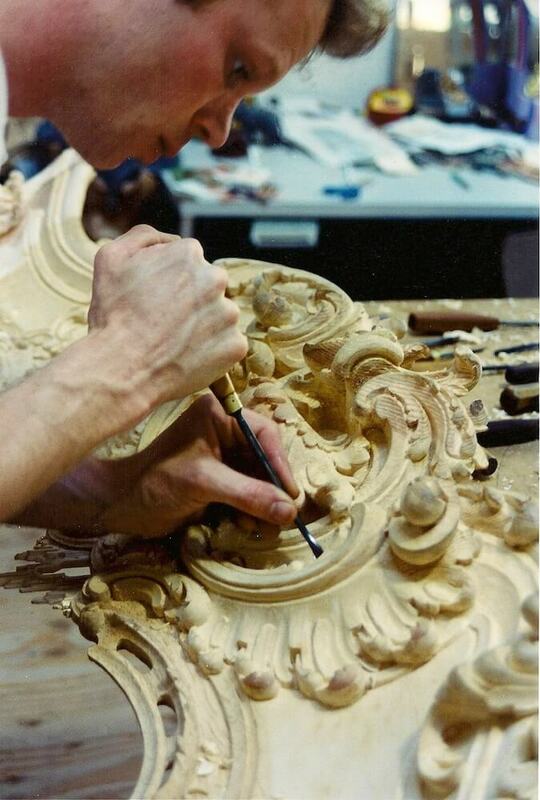 The most wonderful example of hand-carved English Rococo can be seen at Claydon house in Buckinghamshire, England, by our great carving hero: the appropriately named Luke Lightfoot, who designed extensive rooms of Rococo throughout the house. 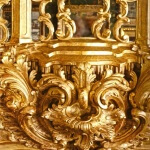 The word Rococo is derived from a combination of the French coquilles, meaning shell, and rocaille, meaning stone, both of which are common motifs in Rococo decoration. 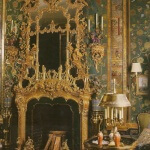 It is a style that appeals more to the senses, less to the intellect, emphasizing beauty over substance. 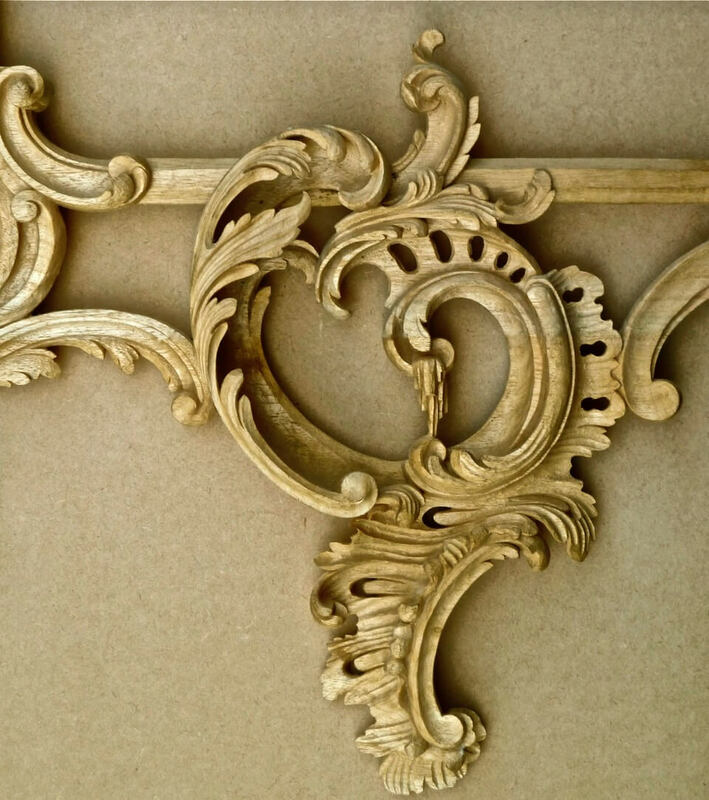 To achieve this free-spirited, decorative style takes years of experience, trial and error. 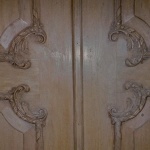 However, it’s a style we’ve mastered—as you can see from the images on this page.